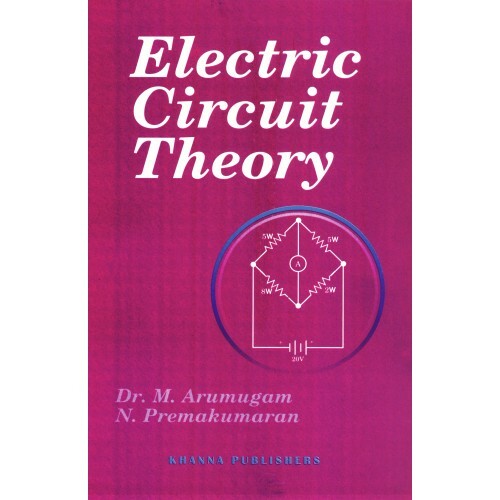 Preface In the study of electric circuits we are interested in the flow of electricity from one device to another. The simplest of electric devices will have a pair of terminals. 'Electricity' enters at one terminal and leaves from the other. The parameters of the device such as resistance etc., are assumed to be lumped or concerntrated at one point. This is not quite true as is evident in the case of transmission lines. The resistance and other parameters of a transmission line are distributed throughout its length. Table of Contents * Introduction * Direct Current Circuits-I * Direct Current Circuits-II * Network Theorems * Alternating Current Fundamentals * A.C. Circuits * Resonance in A.C. Circuits * A.C. Network Analysis-Locus Diagrams * Network Theorems * Coupled Circuits * Poly Phase Circuits * Symmetrical Components * Circuit Transients * Duality, Network Functions Poles and Zeros * Two-Port Networks * Electric Wave Filters * Fourier Series * State-Variables Analysis.